The year 2016 started out great with the return of California Chrome and his win in the San Pasqual Stakes (GII) at Santa Anita in January, his first race back after a nine-month layoff. A great start to his 2016 campaign and I had the chance to enjoy Santa Anita again. 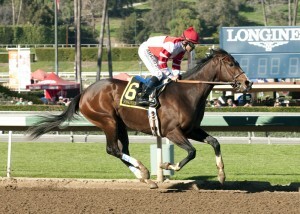 The 3-year-old filly Songbird winning the Las Virgenes Stakes (GI) at Santa Anita Park. Love to watch her run. Fox Hill Farms’ Songbird and jockey Mike Smith win the Grade II, $300,000 Las Virgenes Stakes, Saturday, February 6, 2016 at Santa Anita Park, Arcadia CA. 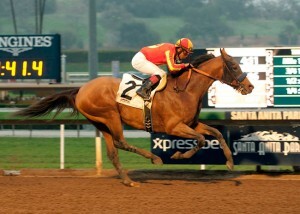 Hoppertunity getting a win in the San Antonio Stakes (GII). Another 5-year-old who continues to run and who we’ve gotten to enjoy for several years. The Dubai World Cup (GI) and California Chrome becoming the richest North American-based racehorse of all time. 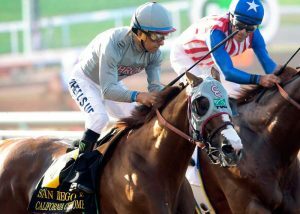 What a great race he ran, his saddle slipping and Victor Espinoza hanging on! 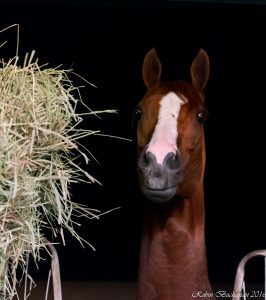 California Chrome, the reigning Dubai World Cup (GI) champion. Creator winning the Arkansas Derby (GI) was thrilling. I rented a camera and thought I could maybe actually do something in racing. It was my first time to take pictures at the track and I loved it, to say the least. A new journey in the making. The undefeated Nyquist winning the the Kentucky Derby (GI). 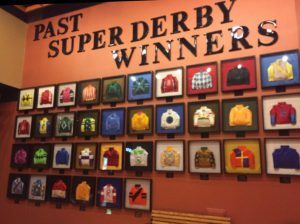 So many Derby prep races coming up. Here we go again. 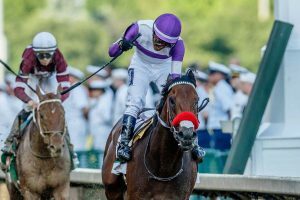 Nyquist and jockey Mario Gutierrez won the 142nd Kentucky Derby (GI) on Saturday, May 7, 2016 for trainer Doug O’Neill. 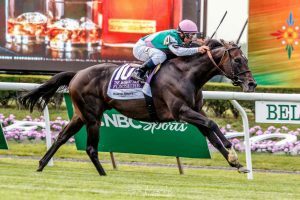 Flintshire winning the Manhattan Stakes (GIT) at Belmont Park. Loved that race. 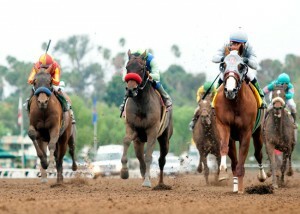 California Chrome dueling with Dortmund in the San Diego Handicap (GII). 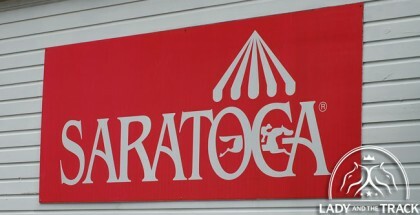 Visiting Saratoga is something I will never forget. Everything you’ve ever read about it is true. Such a wonderful track. You can’t beat the laid-back atmosphere. So many people just enjoying horse racing at its best. 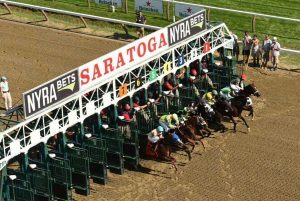 The return of Lady Eli in the Ballston Spa (GIT) was so exciting. She ran a great race after her battle with laminitis. Second place that day, but it was great to see her back. 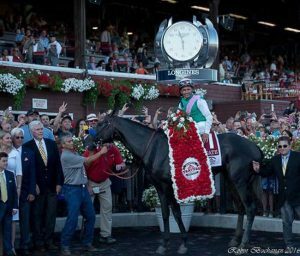 The Travers Stakes (GI) and seeing Arrogate win in record time was impressive. Texas Chrome and the Super Derby (GII) at Louisiana Downs. Making Texas proud. 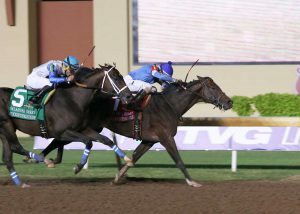 Texas Chrome winning the Oklahoma Derby (GIII) after his two-race winning streak. I love Remington Park and was there to see it. 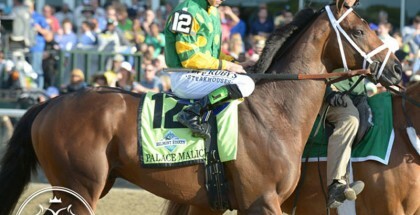 Loved his race. 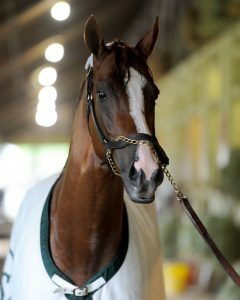 Texas Chrome continues to show he has the heart of a champion. 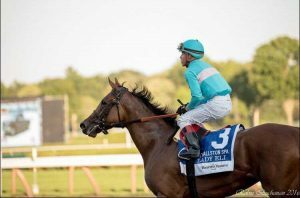 Sunday at Remington Park he gutted out another big stakes victory, this time in the state’s biggest Thoroughbred race, the Grade 3, $400,000 Oklahoma Derby. Having the chance to see Santa Anita Park again and going to the Breeders’ Cup topped it off. I had the chance to meet Chrome. It really doesn’t get better for me. Looking forward to the New Year and to see what it holds!